I've fired up one of my favorite Sega Genesis games, Road Rash. My brother and I spent hundreds of hours playing this race series. This game series also convinced my best friend to buy a Genesis over a SNES back in the day. What are some of your favorite 8 and 16 bit racing games? 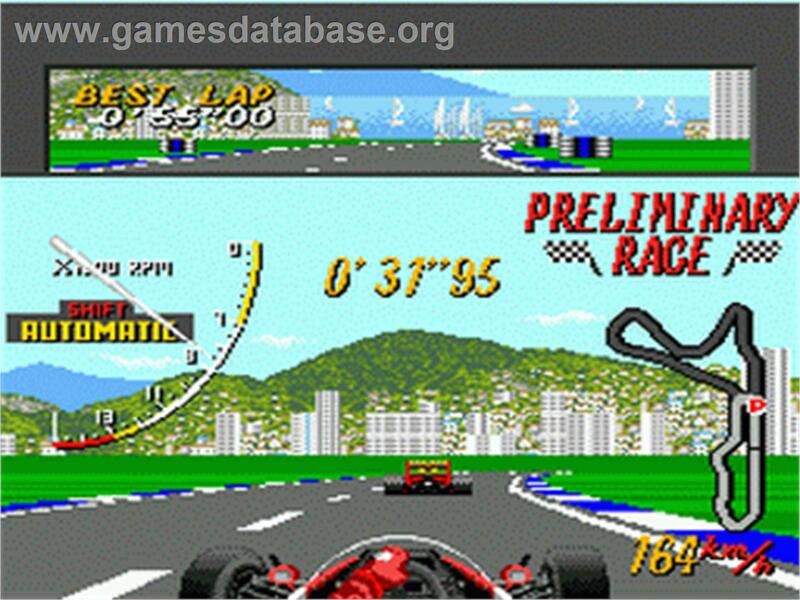 I'm also a big fan of Super Monaco GP for the Genesis! I loved Road Rash. Road Rash on 3DO was killer after playing the first two on Sega Genesis. I remember going to Software Ect. and drooling over the 3DO display that was running Road Rash. Had I had the money I would have bought that console in a heartbeat just for that game. The PS1 version of the game had a great soundtrack, and was fun too. I got the 3DO when the price dropped from $700 to $500. I played it to death for about a year and sold it. PC gaming had me at that point. Favorite 8 bit racing game? Favorite 16 bit racing game? Favorite 32 bit racing game? I've had a ton of fun with Off Road over the years. 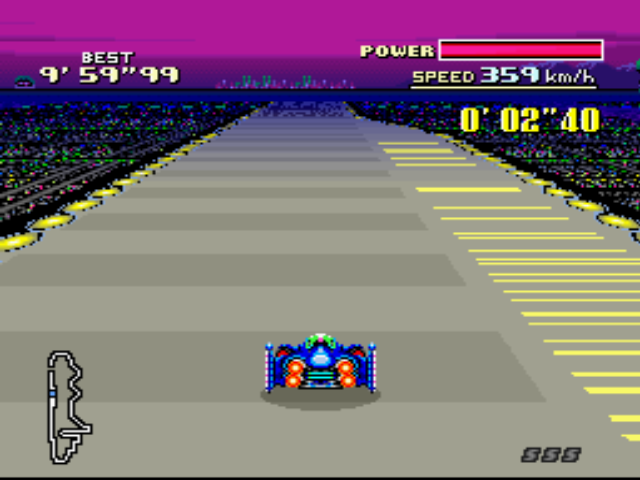 Your second pic looks like F-Zero. I never really spend much time with that one. I might have to fire up an emulator, and give it another spin. Same goes with the third pic. Is that Jet Moto? I should give that one a go too! Exactly right. 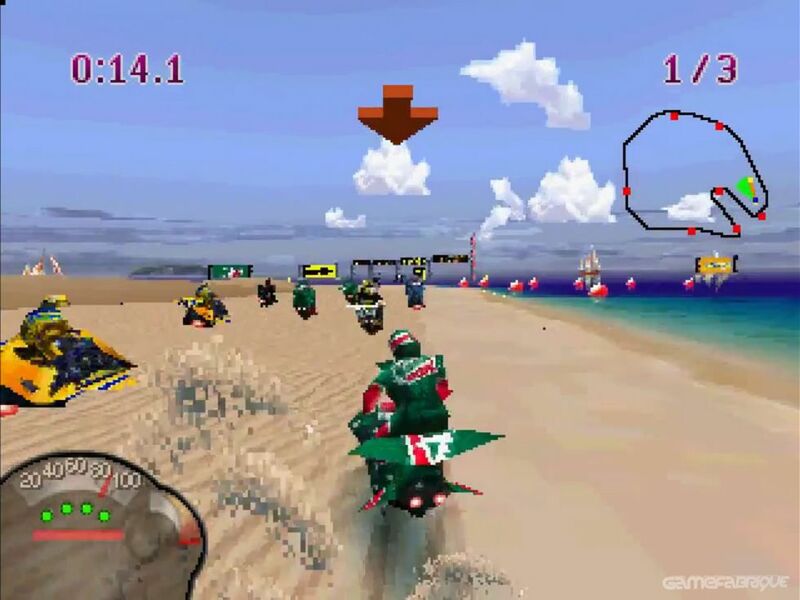 Offroad, F-Zero and Jet Moto. Jet Moto is one of my favorite games of all time if not my all-time favorite. It hasn't "aged well" though. Which is to say, it wasn't great looking when it was brand new. But it was easy to over-look because it was nearly state of the art. But now it's clearly harder to over-look unless you are already familiar with it. It's also INSANELY hard. That was one of it's best selling points, because just like F-Zero it portrays the idea of racing in a futuristic death car by the fact that the first step of getting good is being able to actually finish a race. Winning isn't even in the picture. Just finishing feels like an achievement.